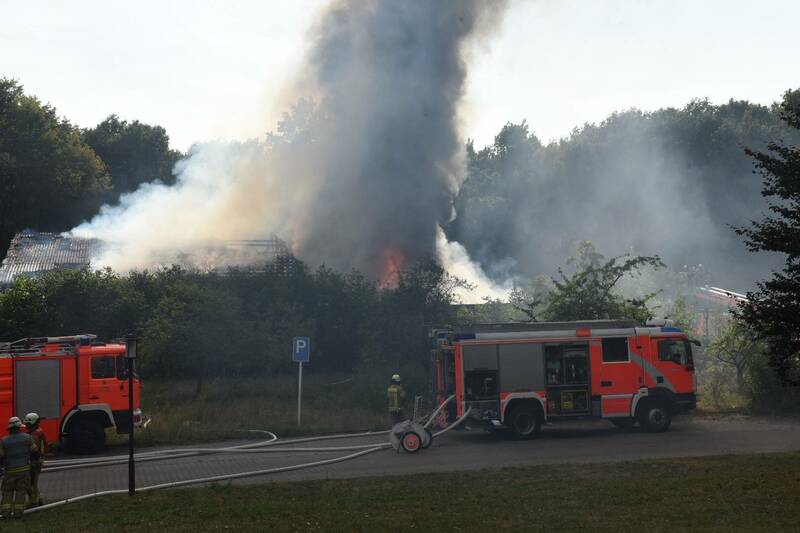 A fire destroy a sport hall in the ex psychiatric Hospital “Karl Bonhoeffer”, in Wittenau, near Berlin. On Wednesday evening the fire start and destroy quickly most part of the building. The sport hall is near a refugee camp. A lot of sport club and the child of the asylum community use every day the Sport Hall. 80 Firefighters work in team to extinguish fire. Police and Firefighters could not – at the moment – going into the building to investigate the causes of the fire. The police shut down arson theory. However, a defect in the power line system could be a possible cause of the fire. So far there is no concrete evidence of a connection with the refugee camp, said Social Senator Mario Czaja (CDU).